This page is currently being edited. 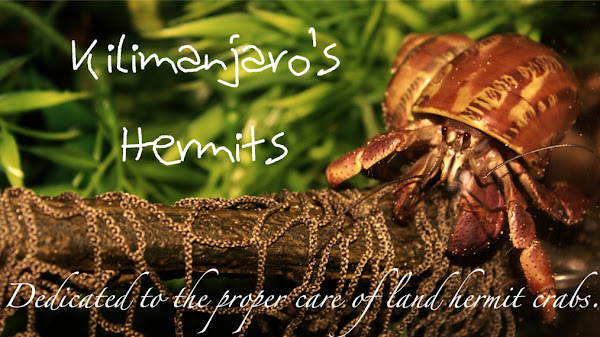 Soon, we will provide you with a full guide to taking care of land hermit crabs, "The Beginner's Guide to All Things Crabby". The page will be complete with information on the crabitat, shells, nutrition, and molting. For now, please visit the Hermit Crab Association to find out how to care for land hermit crabs properly. Join the forum! It's fun and everyone there is very nice and eager to help. If you decide to stop by, drop me a private message. I am user Kilimanjaro there. If you have any questions regarding how to care for land hermit crabs, please email me at wearecrabby@live.com. I would be glad to help you.